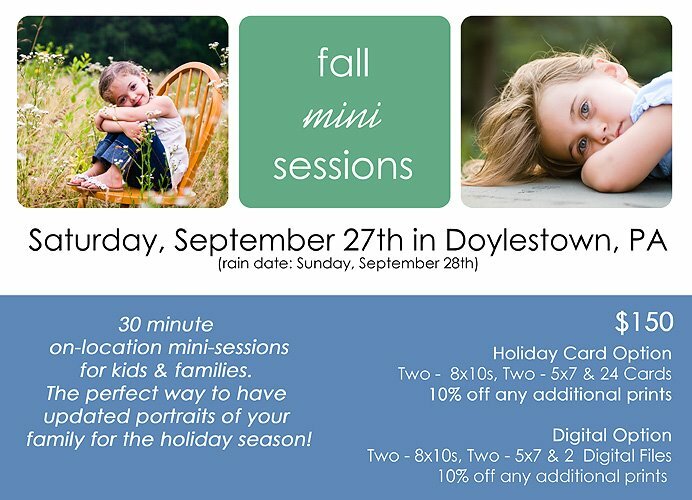 I'm so excited to announce this...I am offering a day of fall mini sessions. These are perfect for those who either had a session earlier this year and just want something more recent for holiday cards or for people who want to get a glimpse of what a session with dm photography is like. The mini sessions will take place on Saturday, September 27th (rain date is Sunday, September 28th). They will be a half hour on-location session for children or a families. I haven't decided exactly where the sessions will occur, but I know they will be in the Doylestown area.